With your help we are able to provide children and adult art classes, scholarships to students pursuing higher education in the arts, preservation of a permanent collection that includes works approaching 100 years old, and summers full of creative programming! From the bottoms of our hearts, thank you! You gave a donation to the Martha’s Vineyard Art Association and Old Sculpin Gallery. Federal ID Number: 04-2199875. No goods or services were rendered for this contribution. The MVAA/OSG does not sell, rent, or exchange its donor list. 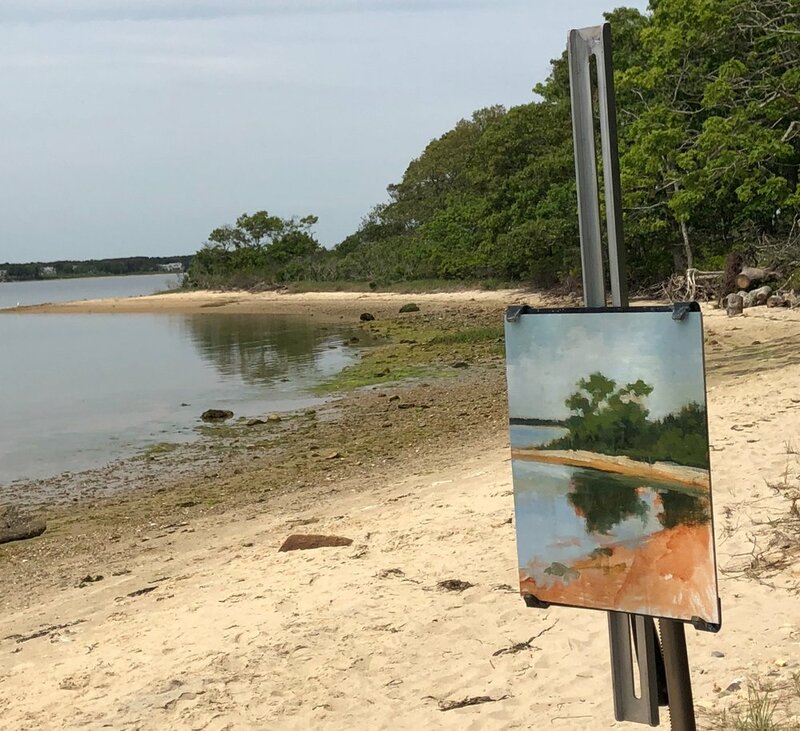 Working plein air from artist member Sharon McCann Daly.